Dear friends! 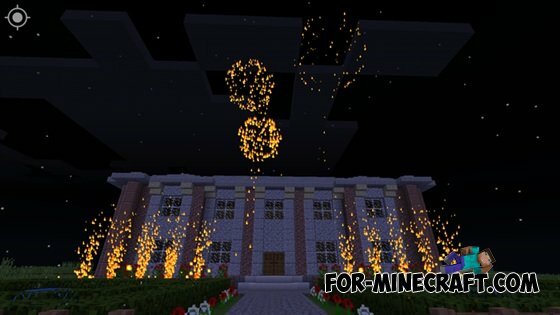 We present to you one of the best mods for fireworks for Minecraft Pocket Edition. 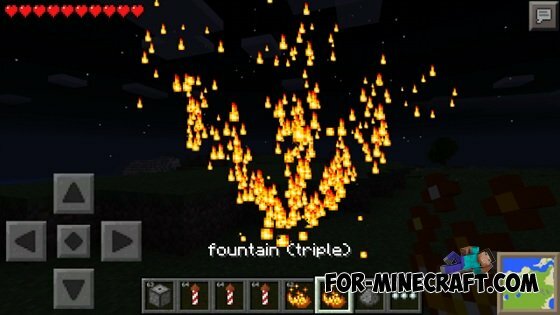 It uses cold plume particles, such as fire and visual introduces several different types of fireworks, based on what you want to experience. How can I get the items fireworks? Fireworks may be made of paper, powder, silicon steel and RedStone dust. 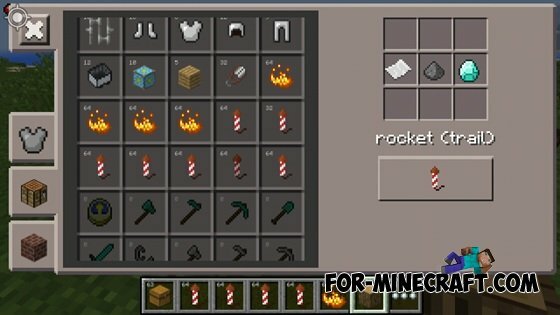 You can also get them easily in the inventory in the creative mode or modes to use Too Many Items. How to launch the fireworks? There are two ways to set fireworks. One of them is a simple push on the ground, holding a fireworks in his hands. 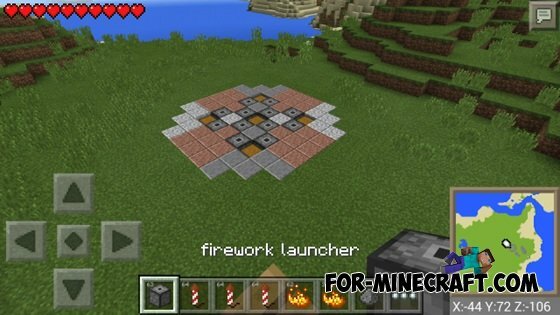 If you want to run multiple fireworks one after the other, then you should be crafted block called Firework Launcher (recipe can be found below).